This superb straight tube from Grace Glass named Unicorn dream's is an unique waterpipe made out of high quality borosilicate glass. Wall are color changing from different rpospective,black mouthpiece and base, bended neck, It also comes in a thick steady base. Equipped with a duoble dome percolator splash chamber and a 3 ice noch for a cooler smoking experiences. 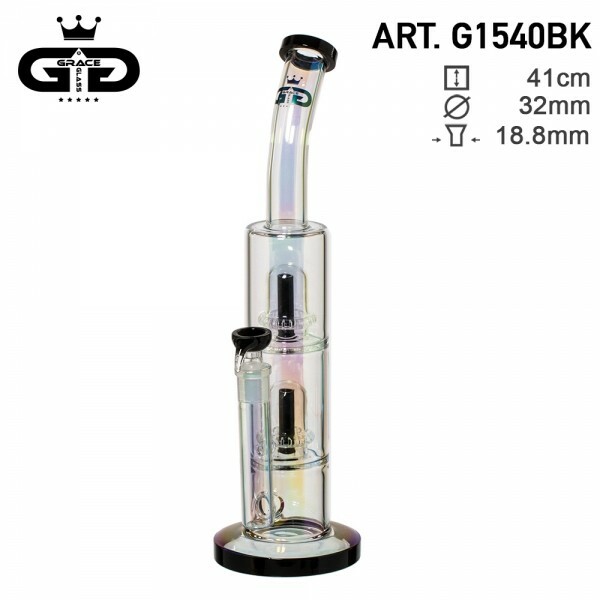 With an height of 41 cm and handle bowl male of 18.8mm on a diffused in-built stem. Visit our website to discover all the new arrivals.